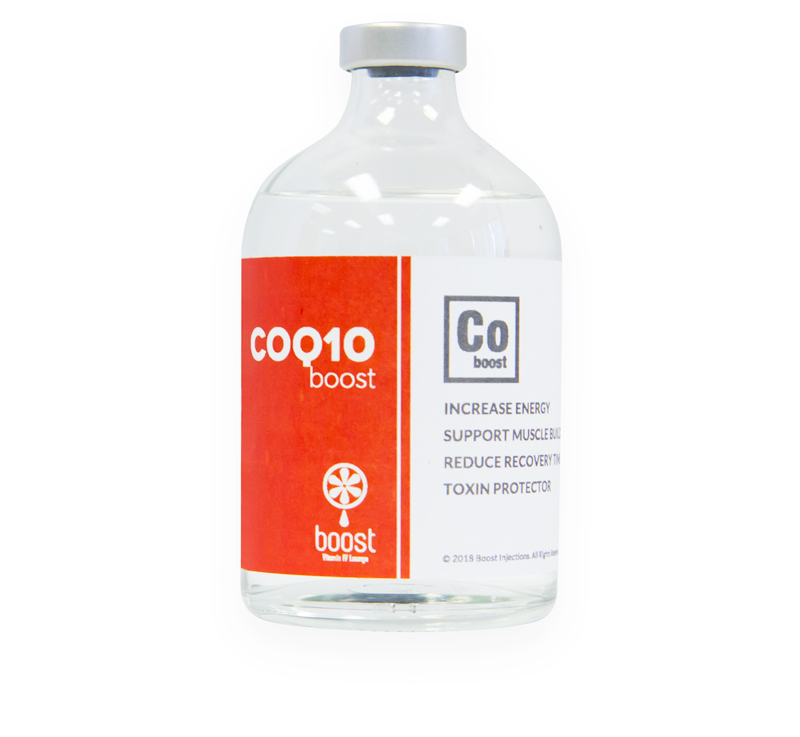 The CoQ10 Boost is an IM injection that uses the vitamin-like nutrient Coenzyme Q10 (CoQ10). Based on a 1978 Nobel Prize-winning chemistry, the nutrient helps you convert the food you eat into energy, improve your heart, skeletal muscles, liver, and brain, and also fight fatigue. The CoQ10 Boost is the perfect fitness booster that supports muscle building and recovery, increased stamina, and improved blood flow. It is beneficial to get this boost before you exercise to maintain muscle, lose flab, and tighten your abs. How Does the CoQ10 Boost IM Injection Work? CoQ10 Boost naturally encourages the release of human growth hormones (HGH) which makes the body respond with a hormonal process that puts your body in fat-loss and muscle-building mode. The increased levels of growth hormone stimulation also kick your metabolism into high gear, providing effective weight loss while toning your body. Q: What can I expect from an IM Injection Booster shots? Q: How do IM Injection Booster shots work? A: IM Injection Booster shots work by administering vitamins and nutrients directly into your muscles, so that there is no GI metabolism, allowing maximum absorption of vitamins and nutrients. Common areas of your body where IM injection Booster shots will be administered include the deltoid muscle of your arm, your upper thigh, and the ventrogluteal muscles of your buttocks. Q: How long does an IM Injection Booster shot take to administer?